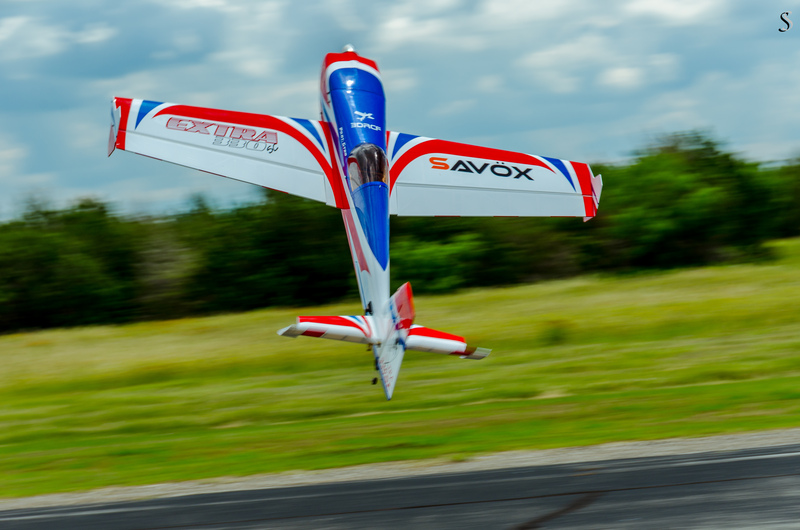 This weekend a friend of mine Gary Ford (3DRCForums.com) hosted an event 3D Bash at Austin for RC plane hobbyists. When i first heard about this event i thought this would be the best place for me to practice panning. This is one of those techniques where I knew what i had to do but never got to practice. To me panning to action pictures is like bokeh to portraits. This is one way to tell the story of how fast these fly. Before i get into details of the picture, first off the event was awesome. It was a geek fest!! People talking about servos, gyros and flying techniques. This is my first time to attend an RC event and what fun was it. It was a joy watching people fly these puppies and they make it look so easy. Now back to photography as much as everyone else were having fun i was in my own world seeing all the planes in action through my lens. This one particular shot is one of my favorites from the shoot. I slowed down the shutter to 1/50s and panned my camera to make the background blurr while keeping the foreground in focus. It was shot at 95mm so technically i should keep the shutter at 1/100s to get a nice sharp image. To achieve what i need to I had to slow down the shutter just a little so that i can move the camera and (almost) in sync with the plane. There is no formula (atleast that i know of) for this. You have to practice and a tad luck.